Sometimes it takes a bucket list to start living again. 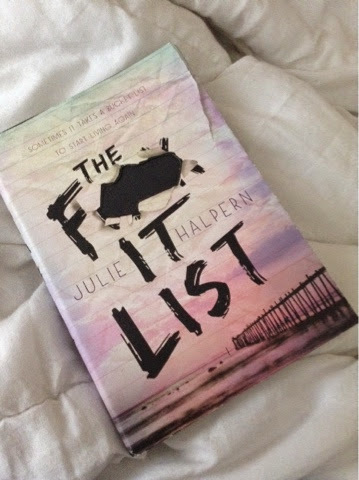 Summary: With her signature heart and humor, Julie Halpern explores a strained friendship strengthened by one girl’s battle with cancer. So what do you do when your best friend has cancer? You help her shave her head. And then you take her bucket list and try to fulfill it on her behalf. Because if that’s all you can do to help your ailing friend—you do it [x]. Review: I think I overhyped this book a little too much for myself. I thought the concept was so intriguing but to be honest when I actually got reading it I was disappointed. It’s not that it wasn’t good it just could have been so much better in my opinion. Maybe because I am reading this from an “adult” perspective instead of a “teen”/”young adult” perspective. The list just seemed like a list of embarrassing things than an actual bucket list. However, I do find that this book is highly relatable to anyone who reads it. Everyone has dealt with a death in the family and cancer is a topic that no one can avoid. At some point in your life someone you know is going to be affected by cancer. In that aspect, this book was really good with that. I feel like it truly portrayed what Becca was going through and how Alex had to deal with it. Overall, I personally didn’t get wowed by it but I can see a young person enjoying it as it’s told in the perspective of high school students.